Enjoy the grand comforts of this exclusive family residence; positioned for sun, prime location and it's surrounding vistas. 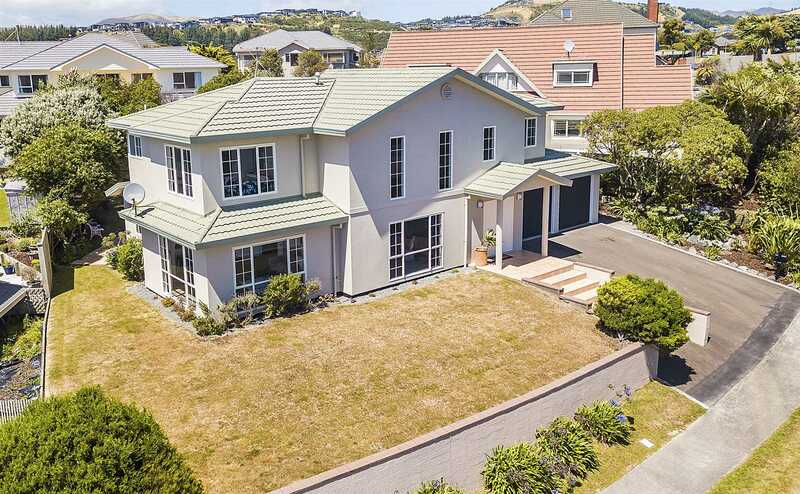 Sure to impress, this immaculately presented home boasts 4 bedrooms, 2 bathrooms, spacious living areas including kitchen/family, dining and separate formal lounge with feature gas fire. A real crowd pleaser: The entertainers and kids will relish in the outdoor space with patio and rear gardens. Owners are overseas and it's time to say "good buy"! Call Andy Cooling on 0800 468738 for more information or your time to view. Pre-inspection Builders report and PCC File available on request. Chattels remaining: Blinds, Fixed floor coverings, Light fittings, Drapes, TV Aerial, Heater & Exhaust Fan in Bathroom, Dishwasher, Auto Garage door & 2x remotes, 2 x Heated Towel rails, Dresser in bathroom, Storage in garage, Separate cooktop & Oven, Rangehood, Clothesline.